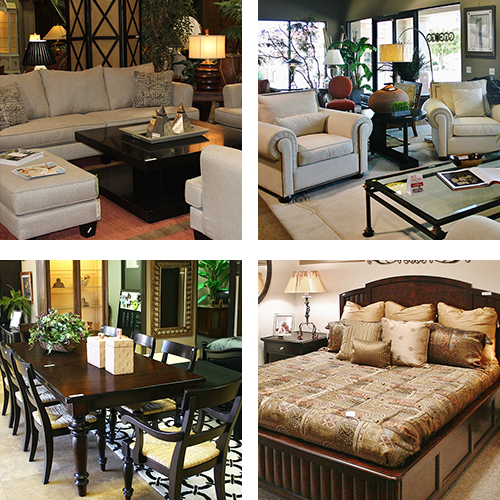 At Encore Consign + Design, we have completely revolutionized the way you shop for furniture. Our showroom spans over 23,000 square feet and is filled with some of the most unique designer-inspired home furnishings in La Quinta. No matter if you are looking for modern sofas or classic beds, we have it all and more in our beautiful design studio and furniture store. Homeowners and businesses from all over the Coachella Valley have come to rely on our furniture store to find the widest selection of home furnishings with the convenience and economy of consignment prices. We are prepared to help you with all of your consign and design needs. If you have unused furniture that you’d like to see in our showroom, simply send us a photo. We’ll assess your item and strategically stage it in our expansive showroom to maximize visibility and the ability to find the right buyer for your product. To learn more about our consignment process, please click on the button below. When you shop at Encore Consign + Design, you will have a shopping experience unlike any other. We take the time to know and understand your personal style and help you navigate you through our showroom to find the perfect home furnishings and accessories for your exact space. No matter if you know exactly what you want or if you are simply looking for inspiration, our staff of friendly design specialists are here to assist you with all of your design needs. If you are ready to create your dream home with ease, we invite and encourage you to reach out to us today.